Affordability meets quality with the Aspen model. Loaded with standard features like a steel frame, LED lighting, digital Balboa control and stainless steel jets, this outdoor spa is built to impress. 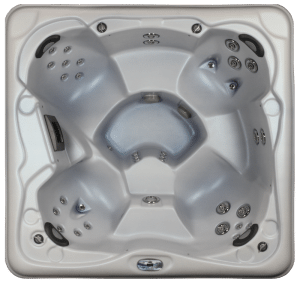 It’s one of our favorite spas for sale, because it offers so much value for each and every one of your dollars. Invest in the best hot tubs with us today – contact us to get started!